Because National Bean Day on January 6 falls in the middle of winter, it’s the perfect excuse to cook a favorite comfort food. Wondering why National Bean Day is held on January 6? That’s the same day as the famous geneticist, Gregor Mendel, died in 1884. Mendel used bean plants and pea plants to develop theories on genetics in plants. So the formation of National Bean Day has more to do with scientific development than how good bean recipes taste. But don’t let that deter you from enjoying eating beans on this holiday! Beans certainly aren’t the only ingredient in chili. But as any serious chili cook knows, finding the right beans is the key to make or break your recipe. The first chili cook-off took place in 1967 in Texas, so cooks have had plenty of time to perfect their techniques … and find the best kinds of beans to use. And if you like vegetarian chili, beans will be the primary ingredient. If chili is one of the most popular bean-based foods for people to create their own recipes, creating a personalized baked beans recipe is a close second. So don’t be afraid to experiment with some baked beans recipes on National Bean Day. Try a few different types of beans or add some different ingredients to give your baked beans recipe a unique flavor. And, if it helps, you can even sing the “magical fruit” song while cooking your recipe. Dried beans are great in recipes, but they also work really well for creating craft and art projects for kids. For example, you could create a mosaic that includes a variety of seeds and different sizes and colors of beans. This can be a lot of fun for kids. And bean art puts macaroni art to shame, especially on National Bean Day. If you choose to celebrate National Bean Day by trying a few different kinds of beans, you’ll have a whole bunch of them to sample. Green string beans, pinto beans, navy beans, black beans, and red kidney beans are among the most popular types of beans grown in the United States. If you’re looking to save a bit of money on your food bill, beans are among the most cost effective foods you can eat. 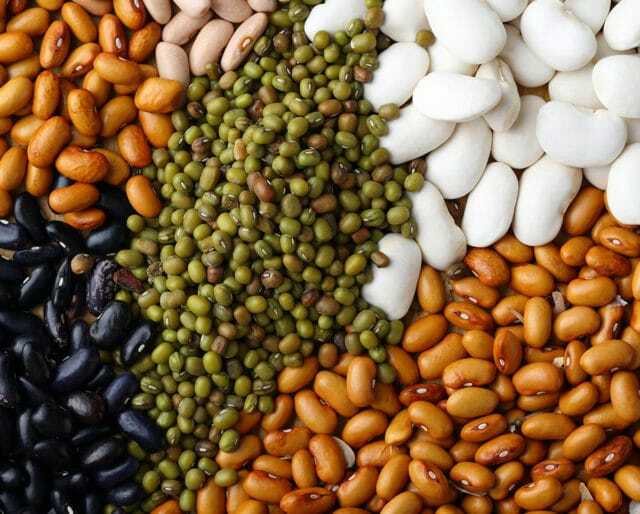 And if you’re looking for a source of protein that’s quite a bit cheaper than beef or chicken, beans are the answer. A cooked bean’s weight is between 6% and 11% protein. Some kinds of beans are best served for dessert. Jelly beans are one of the most popular candies around. Heck, there’s even a chili flavor of Jelly Belly jelly beans. And Boston Baked Beans are great candies too. Even though jelly beans and the candy-coated peanuts that make up Boston Baked Beans aren’t the same as traditional beans, they still taste great. So go ahead and eat some candy beans on National Bean Day.